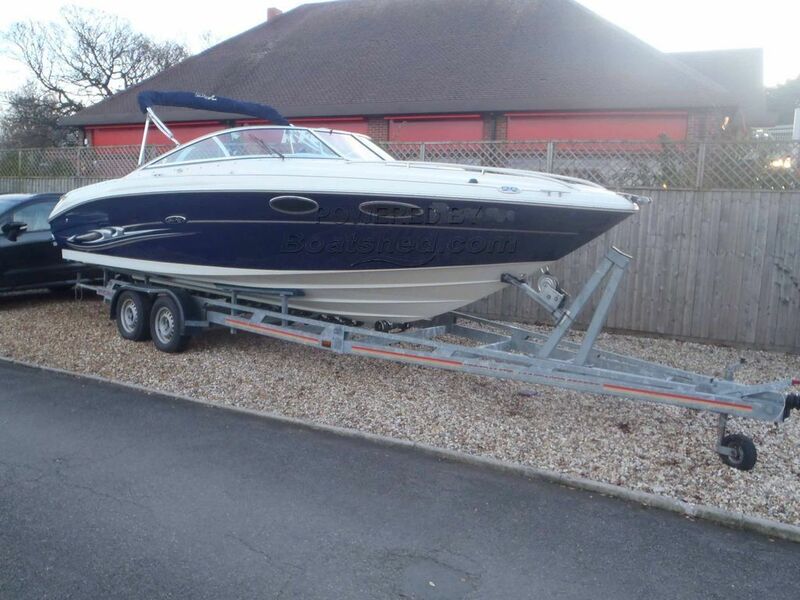 2004 (2003/4) Searay 240 Overnighter powered by single Mercruiser 5.0L MPI Magnum 300hp petrol engine with ST/ST Duo Prop. . The boat has been professionally valeted / anti-fouled and is ready for the coming season. The spacious cockpit has a fiberglass liner and inviting sun pad; the cabin has a convertible V-berth and portable head.These boat details are subject to contract.